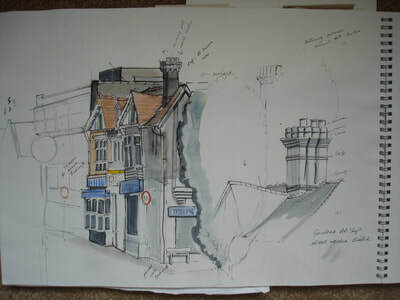 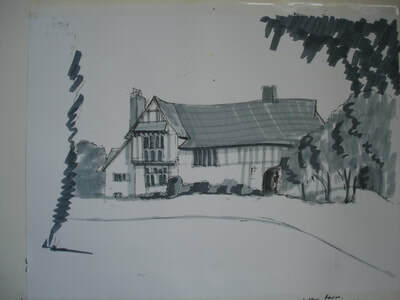 I have drawn and sketched for as long as I can remember . 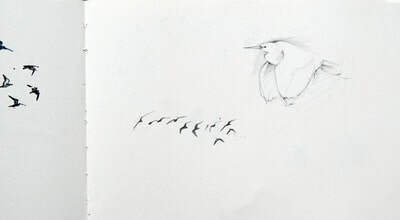 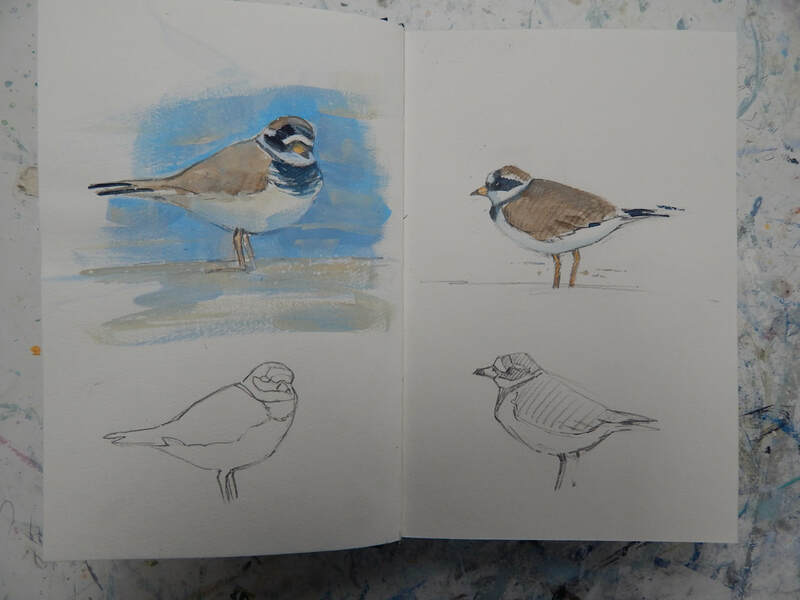 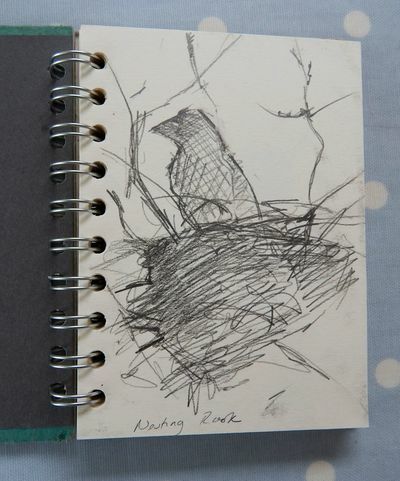 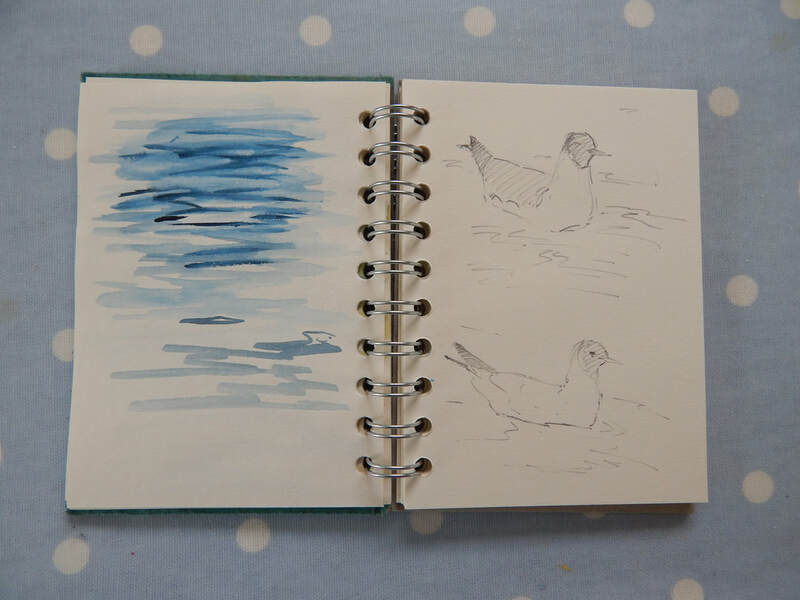 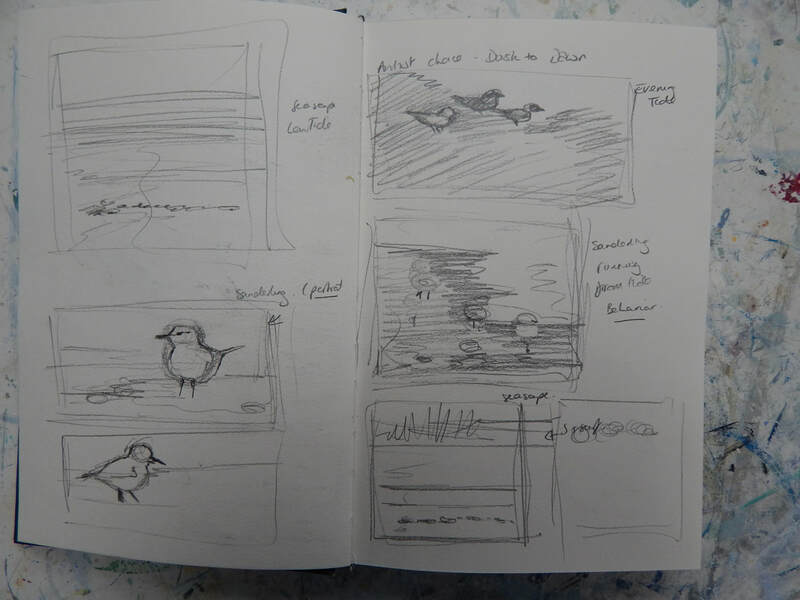 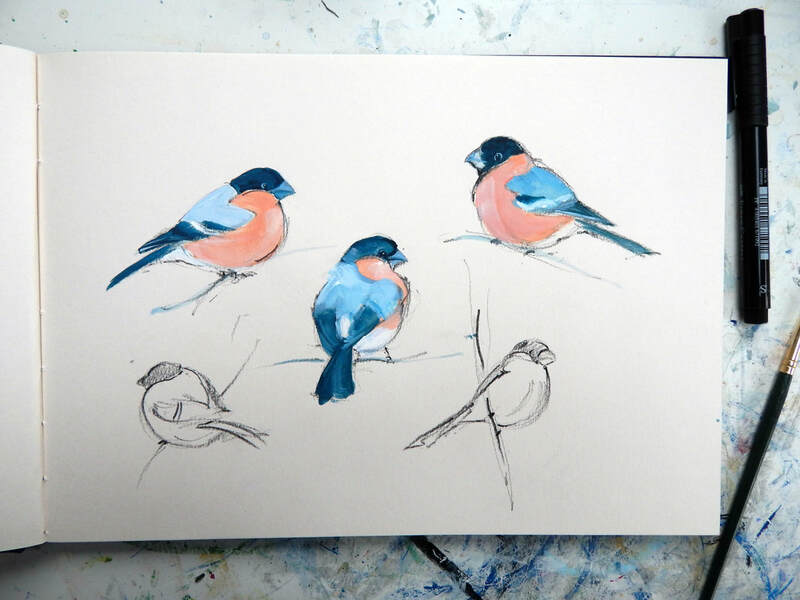 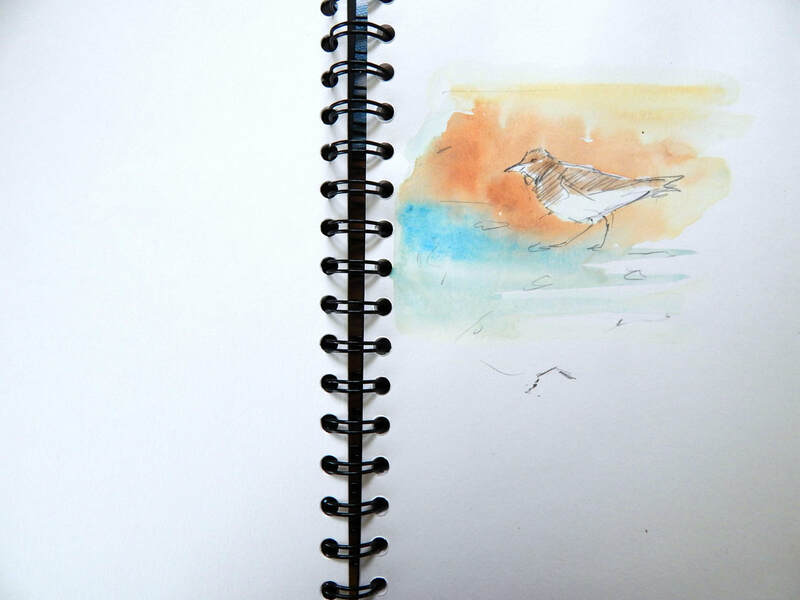 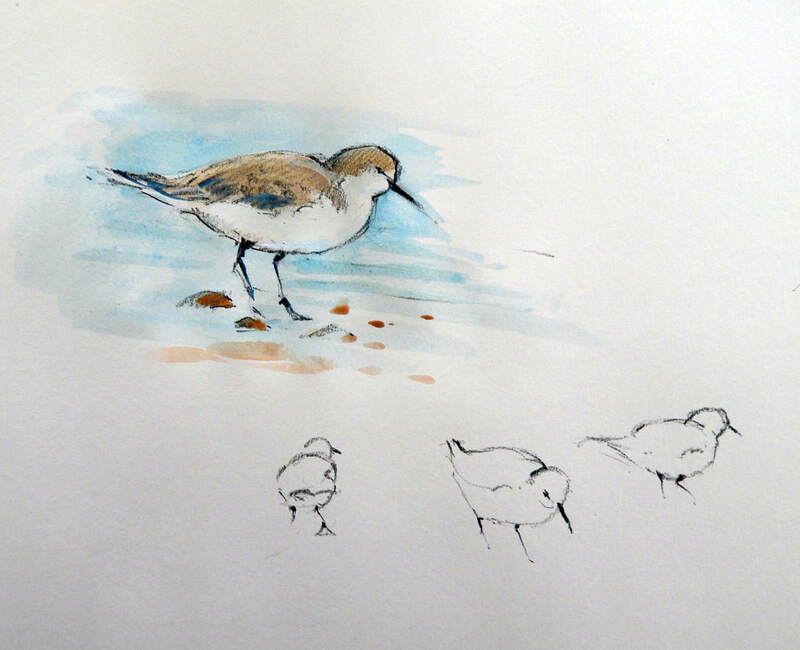 The purpose of my sketches is to try to get to know how an animal/bird behaves in it's surroundings and interacts with other species. 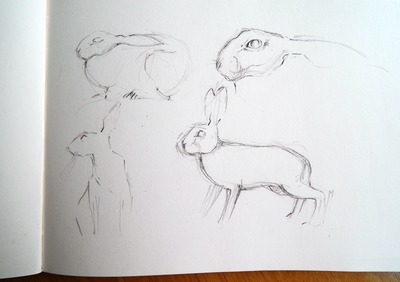 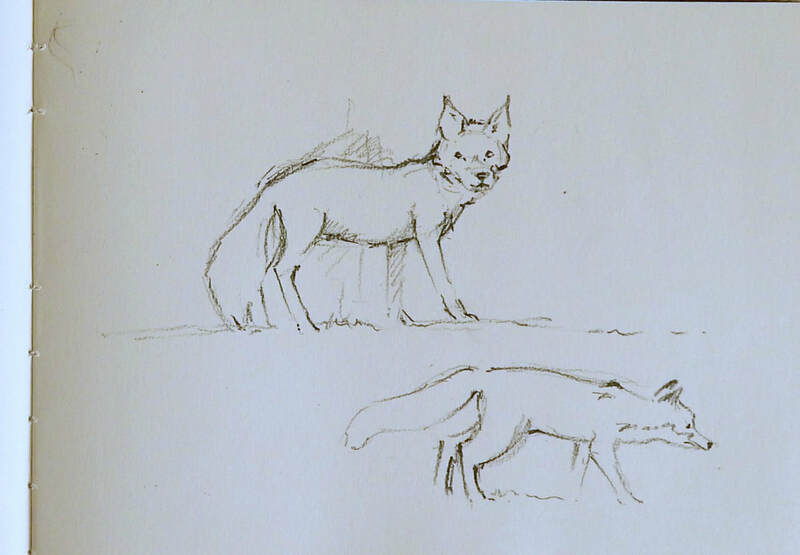 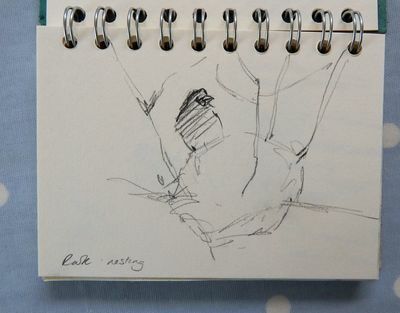 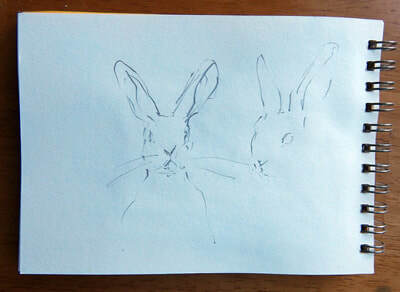 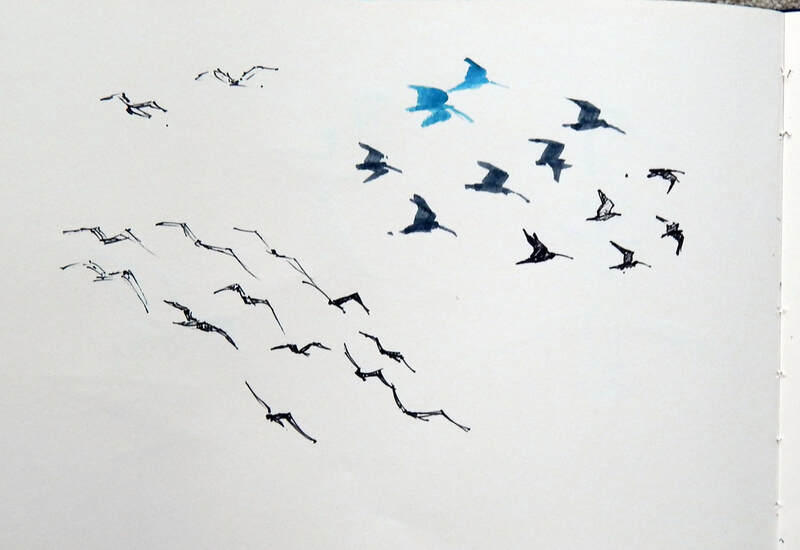 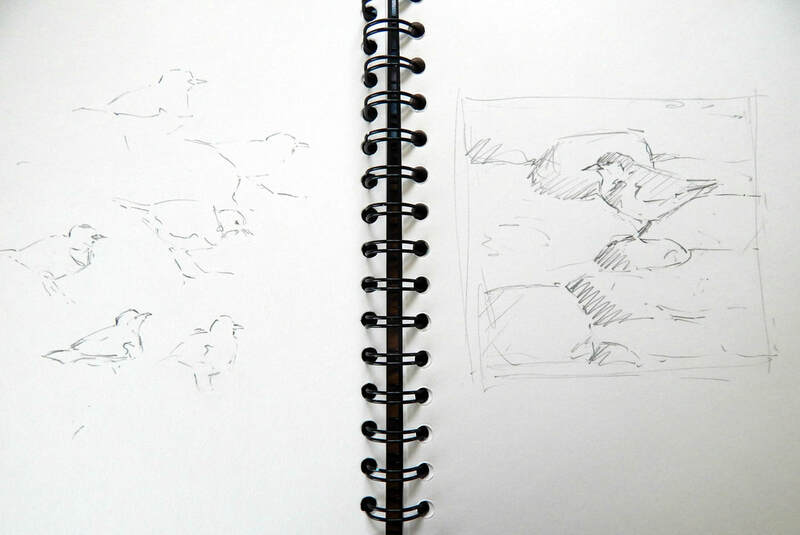 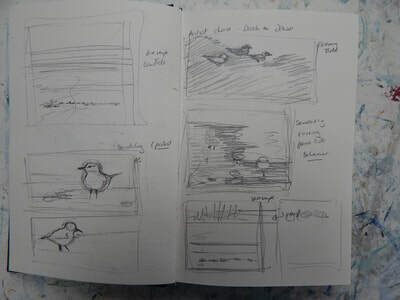 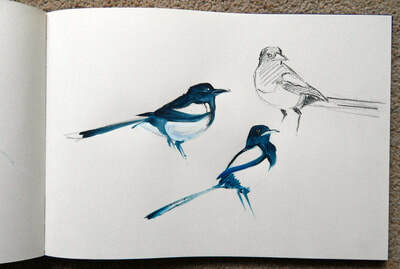 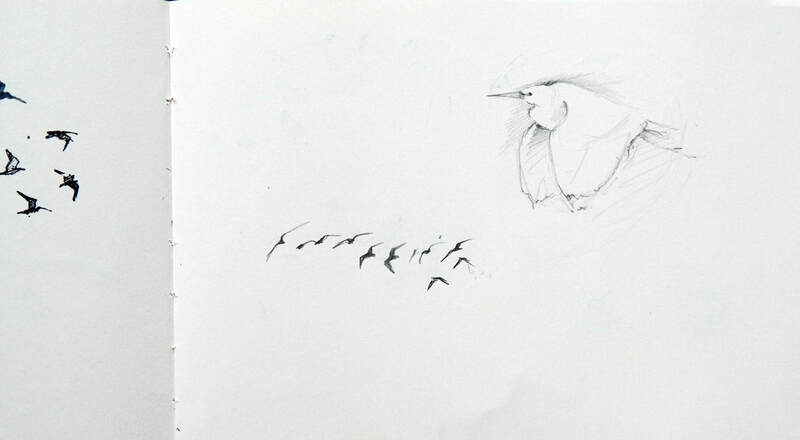 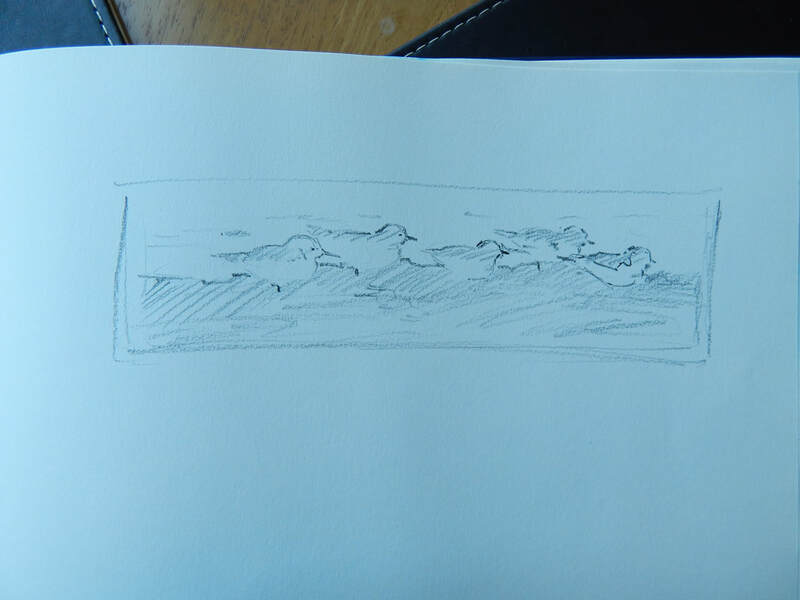 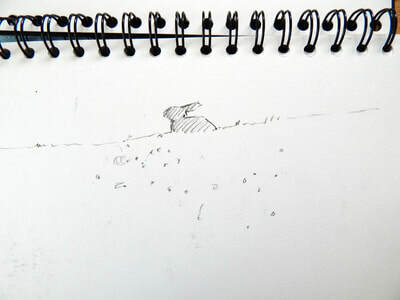 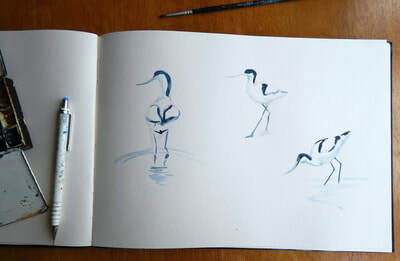 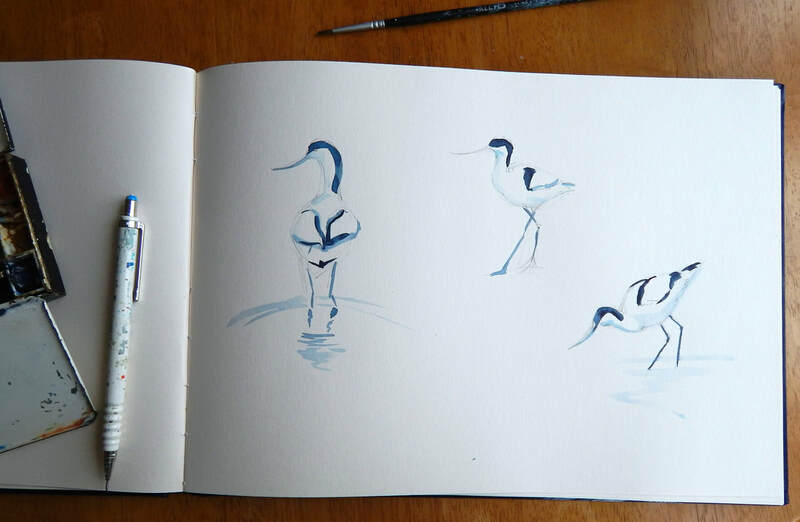 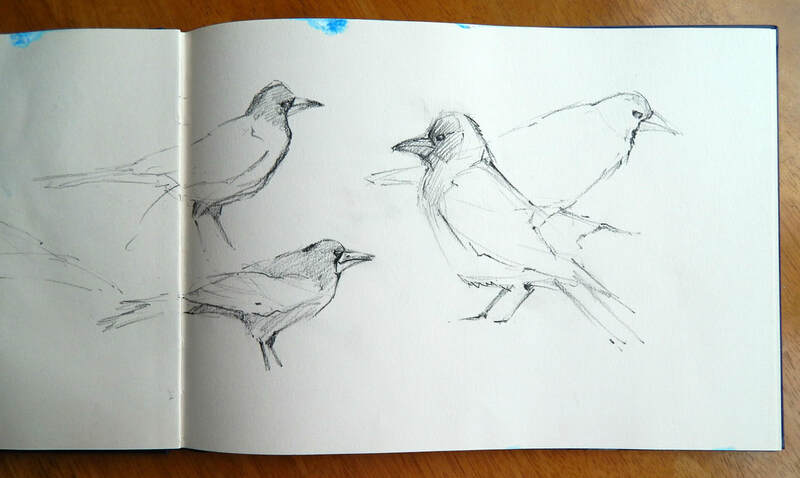 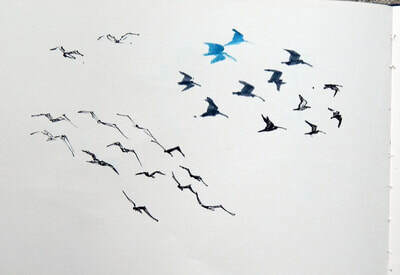 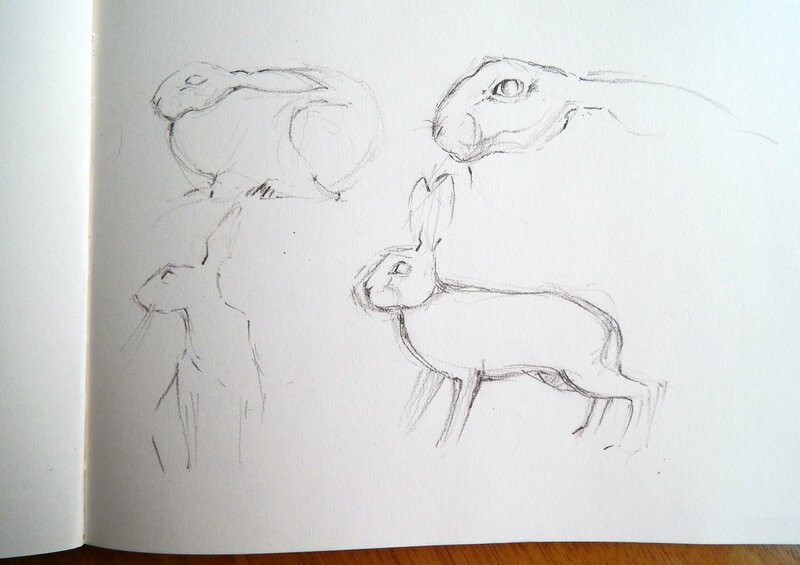 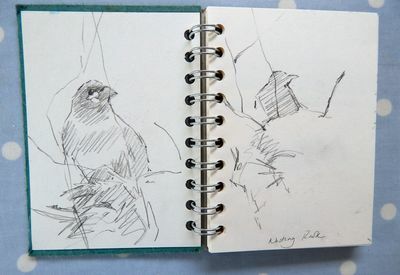 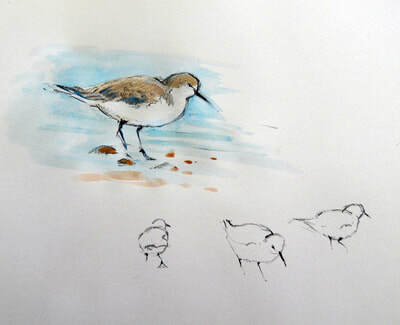 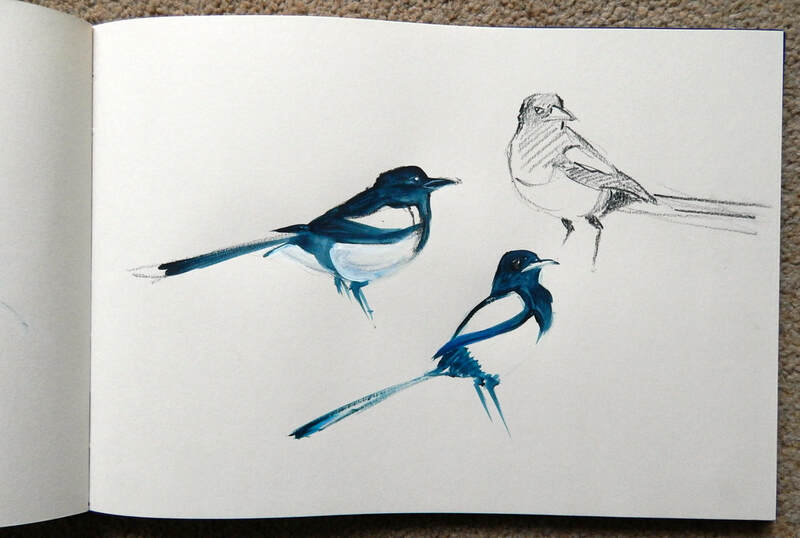 Some of these field sketches are just fleeting glances of an animal/bird . 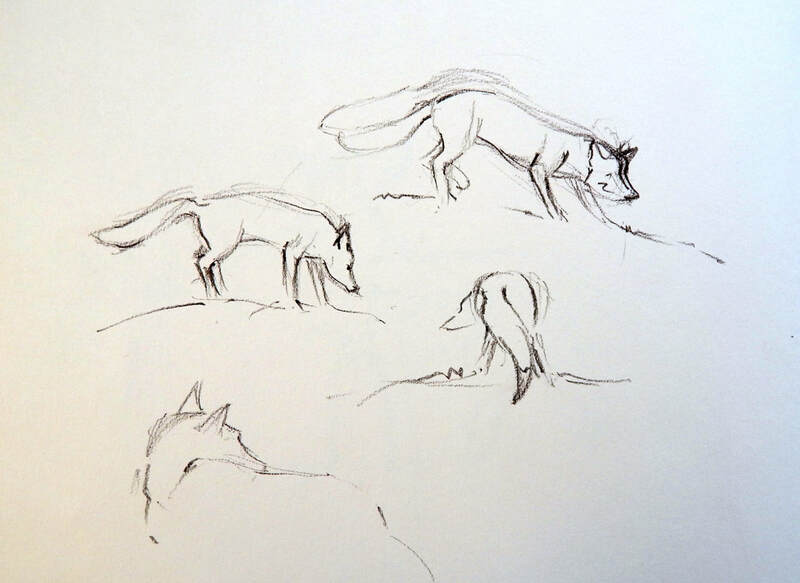 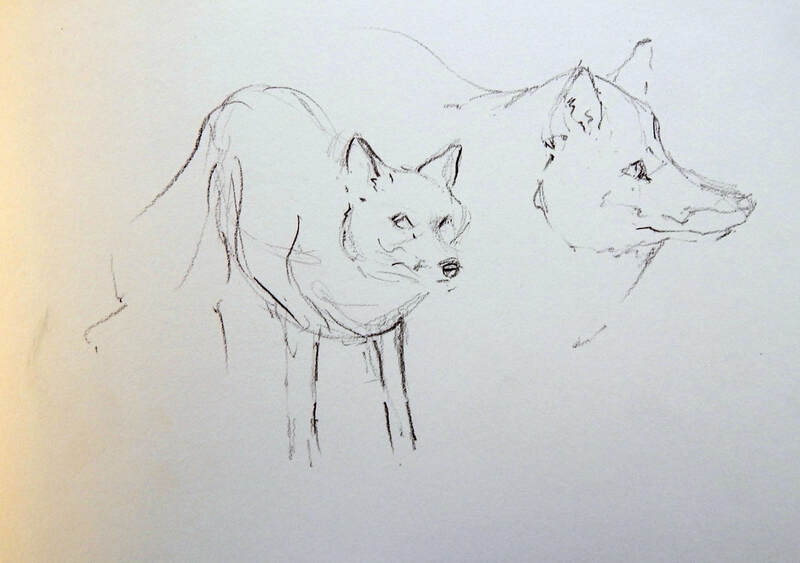 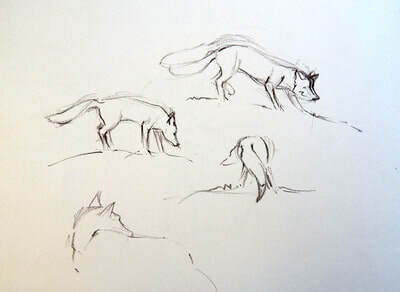 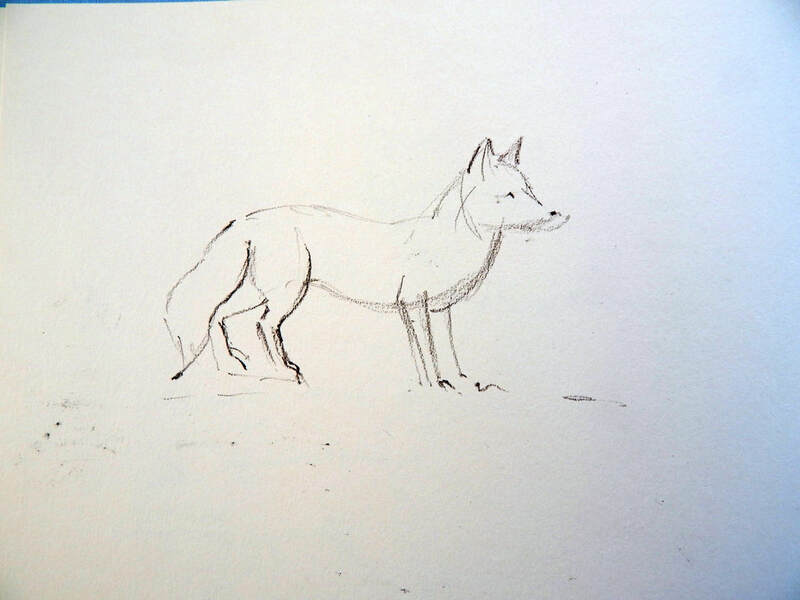 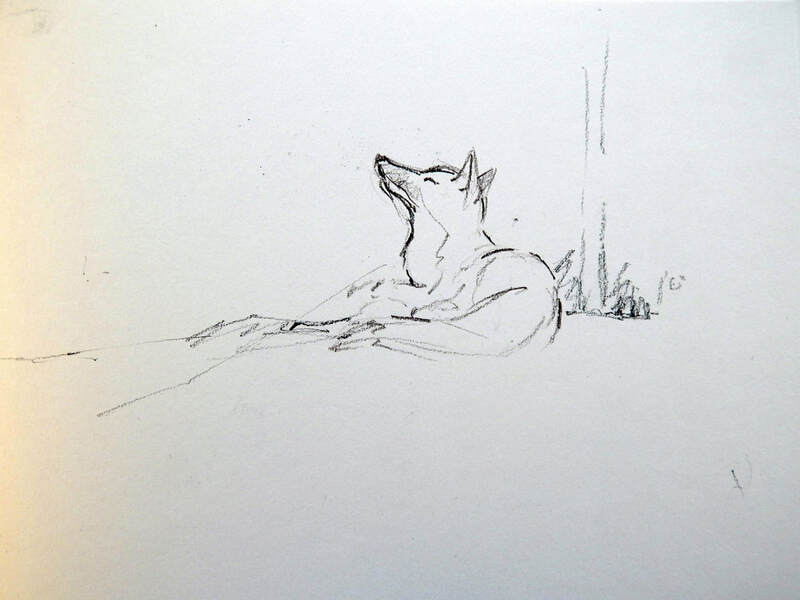 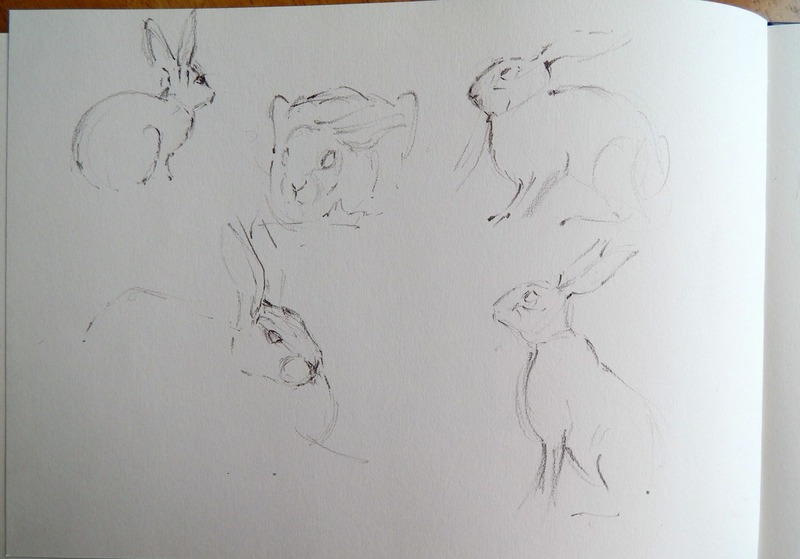 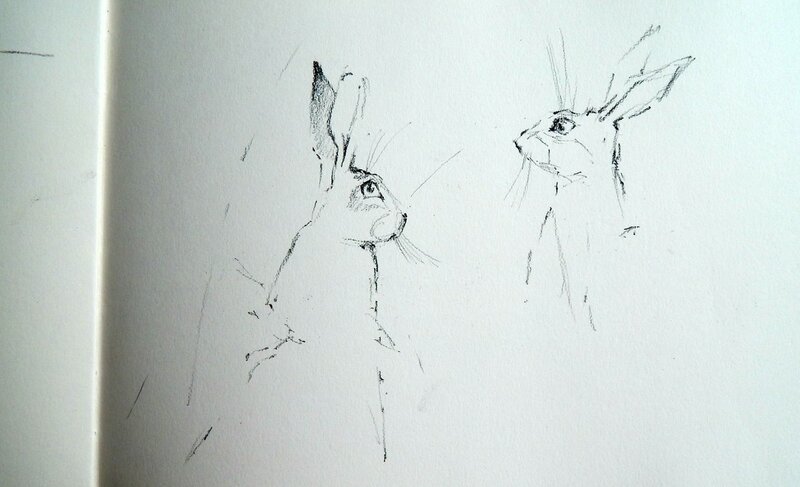 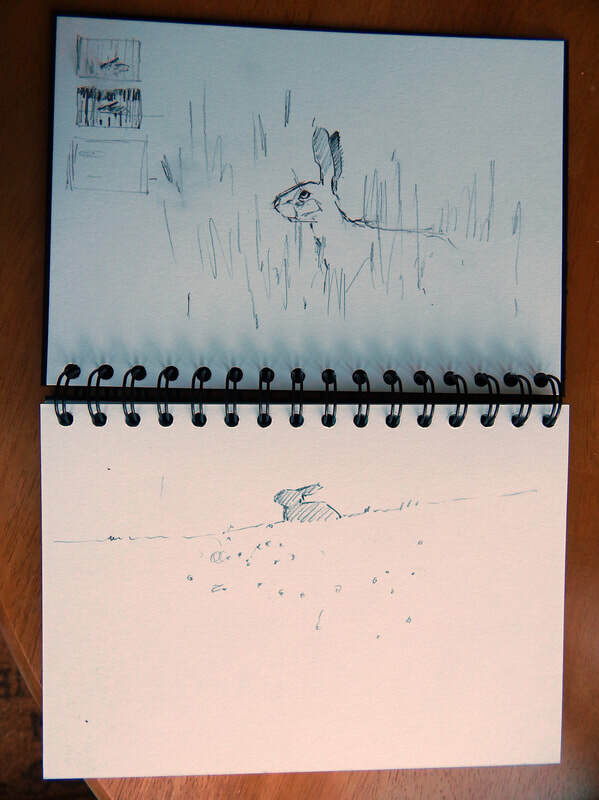 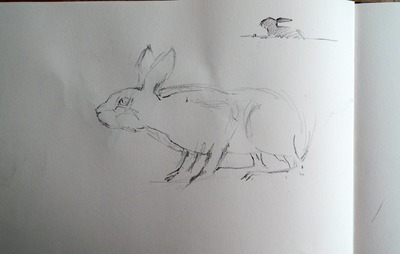 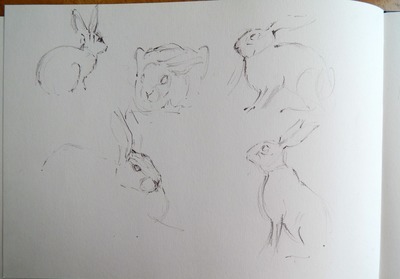 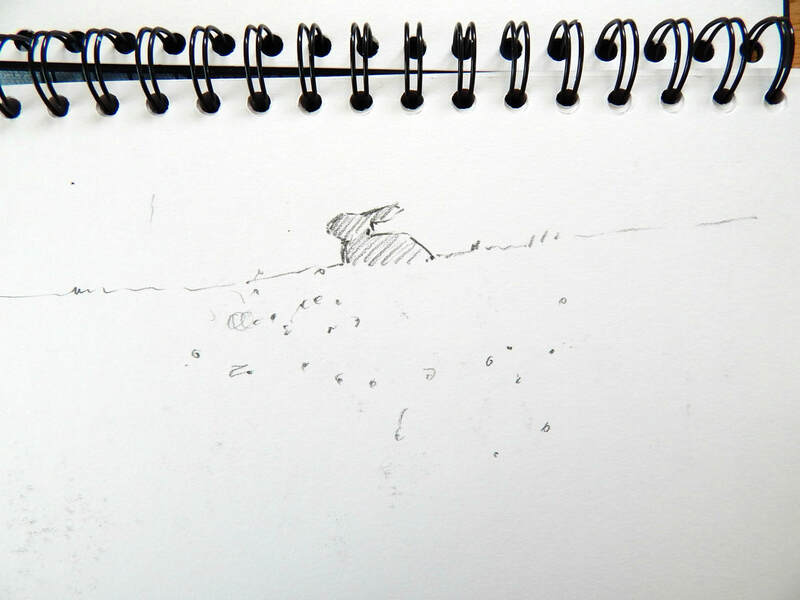 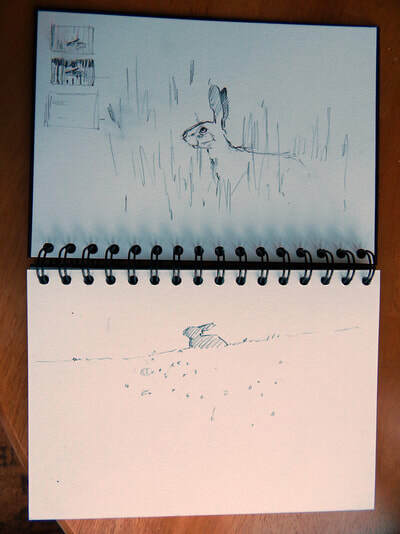 I'm lucky enough to see hares on the South Downs , and really fortunate that we have foxes in our garden that I can sketch from the comfort of the house ! 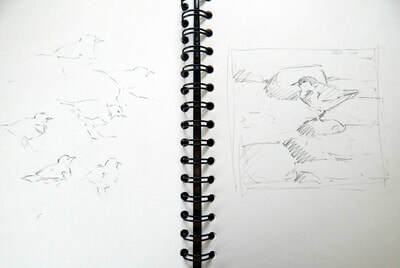 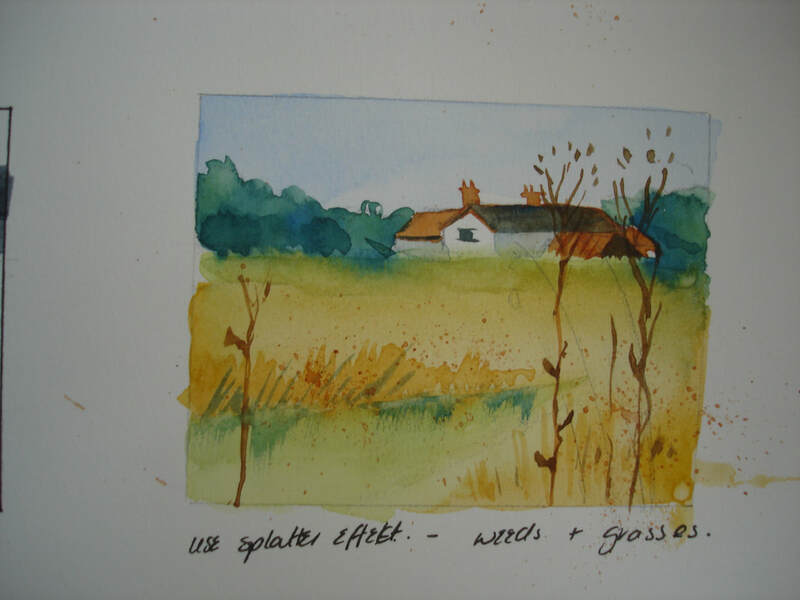 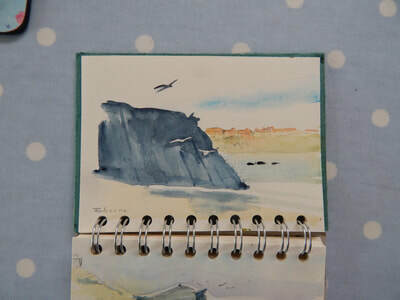 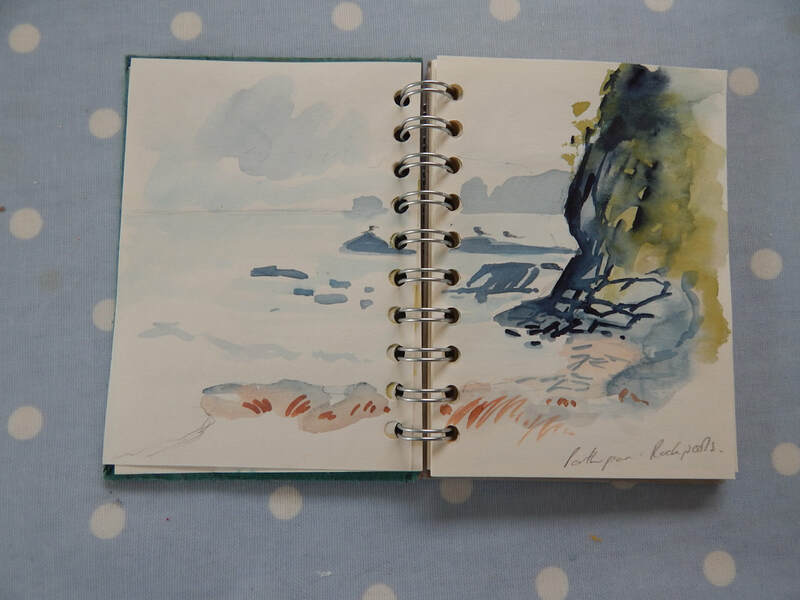 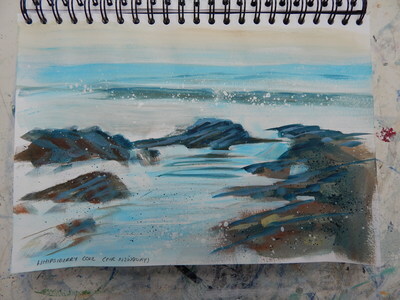 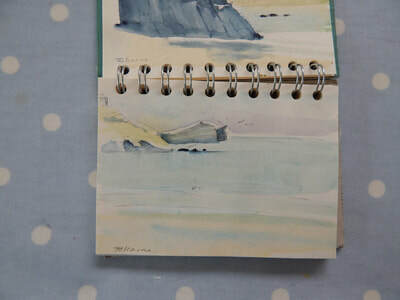 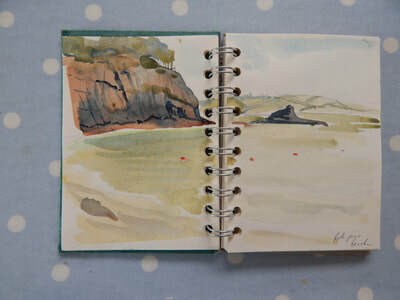 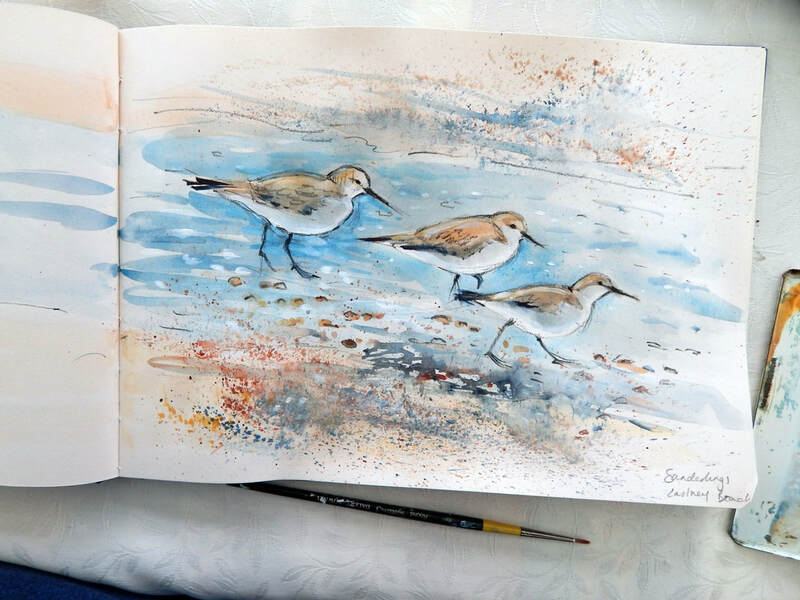 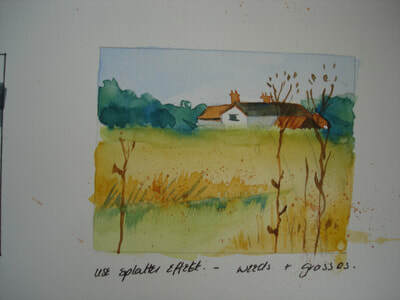 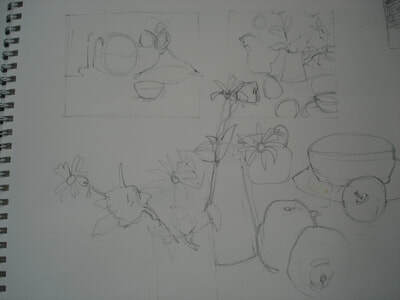 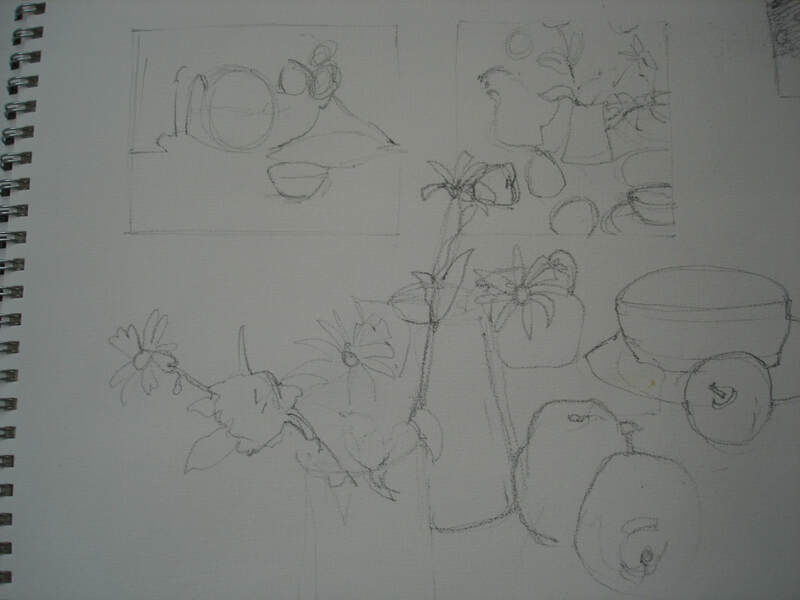 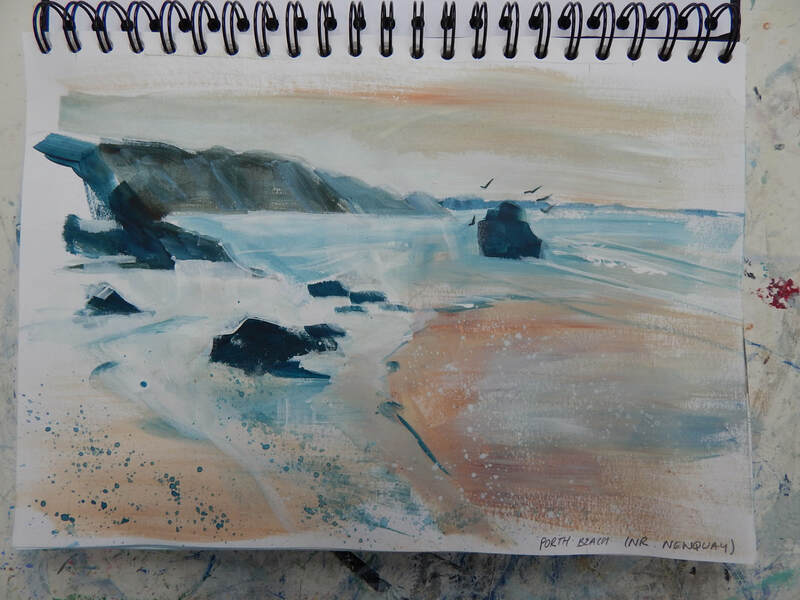 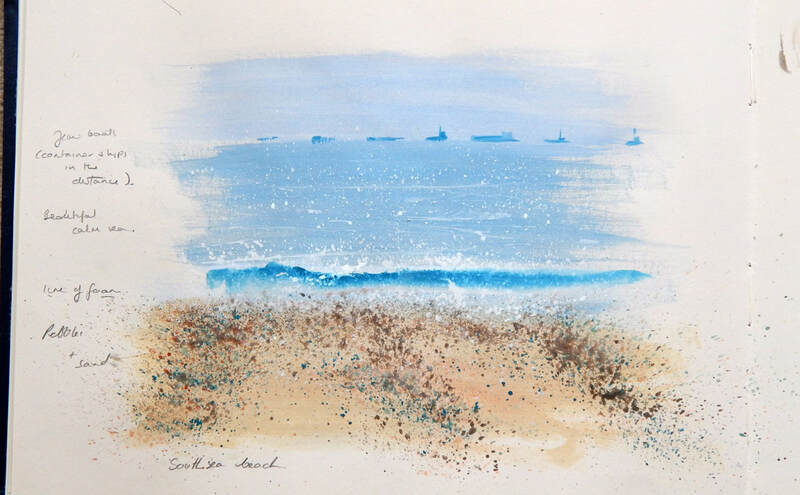 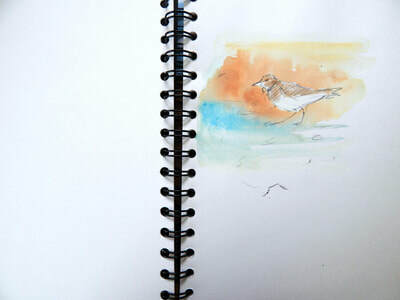 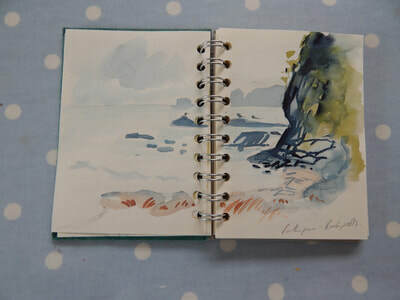 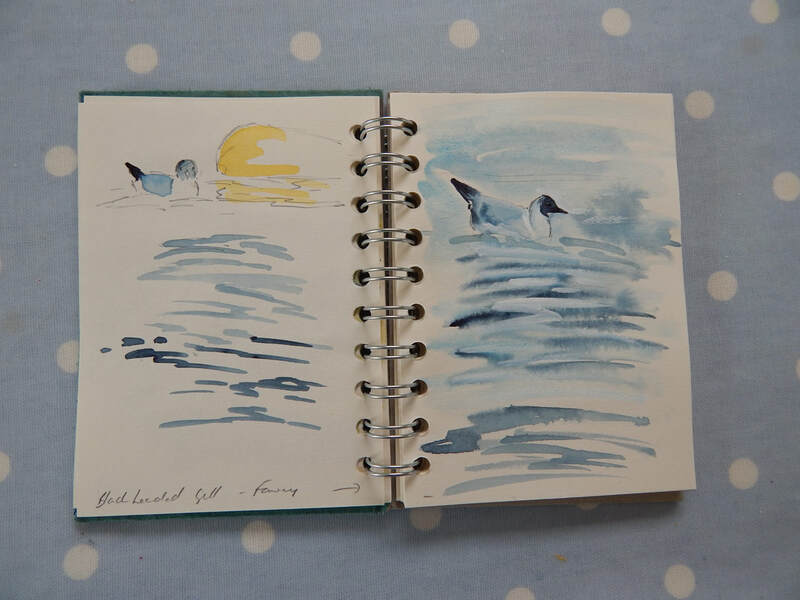 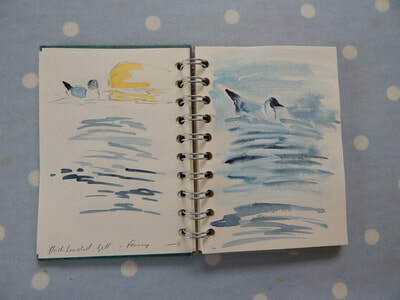 I usually take a camera out with me , when I go sketching , but when I'm working on a painting I like to keep the sketches about me - and try to keep that instantaneous feel of a sketch into my work . 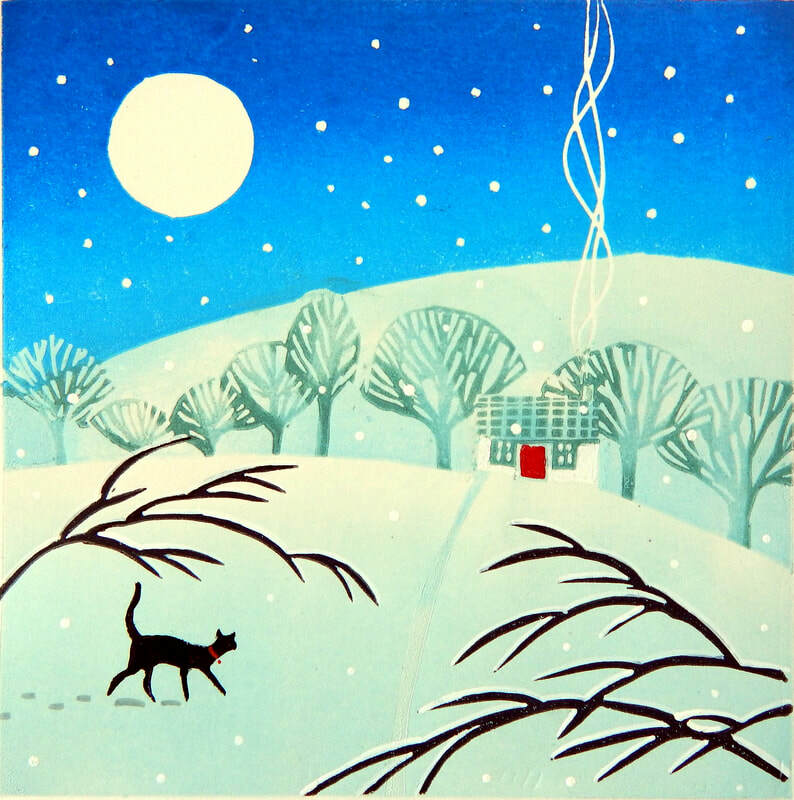 To enlarge an image - please 'click' on it.